It’s not every day you hear about an eighteen-year-old boy who goes running with his grandmother down the park, but for Sue Brown that’s exactly what happened after Coca-Cola Great Britain launched ParkLives in Nottingham together with the City Council last year. ParkLives provides a range of fun and free outdoor activities for six months of the year in local parks and green spaces, and as it prepares to launch for a third year in more cities up and down the country, we caught up with Sue to hear more about her compelling story and reason for signing up. A 55-year-old finance administrator working in credit control, Sue has one daughter and three grandsons who live just a short drive away. She makes the effort to see them every week, without fail. “When the two of us go running I know I hold him back, as I’m quite slow. So I make him run ahead, come back and then run with me again,” she chuckles. For Sue, it was all about word-of-mouth. She heard about ParkLives from her daughter, who, in turn, had heard about it from someone else at a local slimming club. “I didn’t know whether I’d be able to do it, but I wanted to give it a try,” she says confidently. “There was a session called Couch to 5k, where you go from walking to running, and by the end of the nine weeks I had done it,” she thrills. When asked how she stayed motivated, Sue confesses that if she’d gone home after work first she’d probably have ended up on the sofa in front of the television – like a lot of people. She describes how she had to make sure she went straight from work in order to encourage herself to go. For many, ParkLives is an opportunity to have fun and meet people in the local area. The same can be said for Sue, who talks about getting to know some of the regulars at the running group, and how she plans on going again this summer with the same friend. 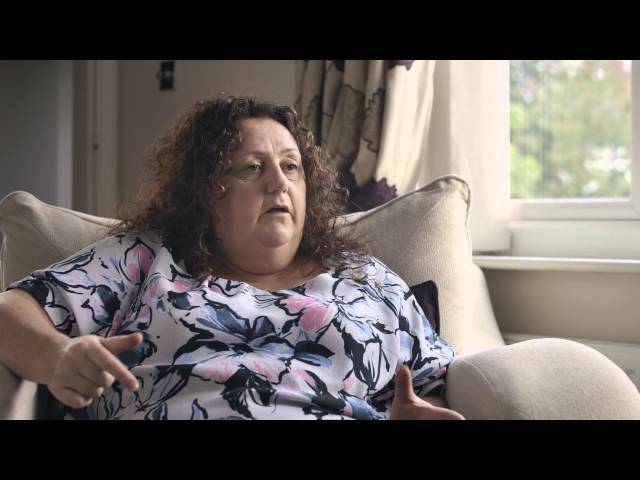 After taking part in a short video for ParkLives, we asked Sue what advice she would give to someone who’s new to the scheme, and maybe thinking about joining in: “Just go ahead and do it. Give it a go, because you’ll enjoy it!” She exclaims. “And get your family involved too, because it’s free and it gets you out in the open and you meet new people.” Now, if that’s not a reason to sign up, then we’re not sure what is! ParkLives is a long-term programme of daily fun and free activities that encourages people across the UK to get outdoors and enjoy the parks and green spaces in their local community. It offers a range of different activity sessions available for everyone and this year it’s operating in parks across ten cities nationwide, and a further 35 more locations through a partnership with Coca-Cola Great Britain’s charity partner, StreetGames.